If a person is poorly dressed, you notice their clothes. If a person is impeccably dressed, you notice the person. You ARE beautiful. Be the best you can be… for YOURSELF. 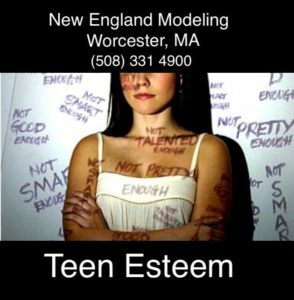 New England Modeling is located in Worcester, MA. Since opening its doors in 2005, we’ve helped discover real strengths and overcome fears for people of all ages. This is done by understanding who you are, where you are and where you’d like to be. You achieve this by developing a detailed plan that focuses on your unique goals. 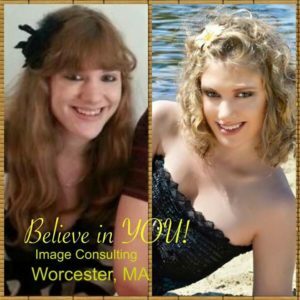 At New England Modeling & Believe in YOU! 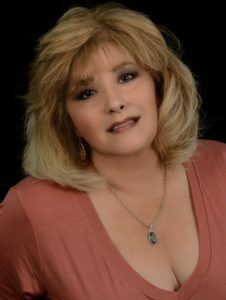 Image Consulting, we offer professional model training, image consulting, pageant coaching, on-camera auditioning techniques & confidence building. Even if you do not have an interest in modeling, we offer a unique approach with the tools you’ll need to guide you to feeling better about yourself. Sometimes we just need that little extra boost. Modeling & Acting: We are dedicated, passionate and work very hard to provide the highest standard of services and support. However, getting signed by a reputable agent is difficult, as it is a highly competitive industry. In fact, it is the most competitive industry in the world. After completing your customized program, we work closely with you, encouraging you to create a professional industry resume with a great head shot, your stats and any other pertinent information. Your next step will be to learn and understand how this industry works and what you’ll need to do, as far as setting out to meet with reputable talent agents and casting offices. We will pass along our 30+ years of knowledge. We will not try to sell you expensive photo shoots – you don’t need them! We will teach you how to build your portfolio and gain experience in the industry. A portfolio is a body of work so if anyone says “I’ll make a portfolio for you,” they simply don’t know what they are doing, nor do they have your best interest at heart. What they’re offering you is a photo shoot, plain and simple. A real portfolio should only have one to two pictures from any given assignment and/or photoshoot. We also do not believe in “cattle calls” at hotels that will cost you thousands of dollars. Most of these are SCAMS. This is an overwhelming approach, using high pressure sales tactics… not good! Once you have completed our short 10 hour program, we will assist you in finding local events to get you started, such as nonprofit or fundraising events. These will include general modeling, print ads, runway, fashion shows, and promotional modeling. But please be aware, these are on a volunteer basis, to help build your portfolio. However, they are very rewarding and fun! Photo Shoots: We also offer photo shoots for modeling, pageant head shots, actors and all other forms of entertainers. We also offer professional, corporate head shots. We recognize that some people may be more sensitive than others when getting their picture taken. Some people prefer less make-up, a more natural look. We are the experts and this is what we do. This can be achieved by good communication and offering examples or even test shots in a highly skilled and fun environment. Professional On-Camera Techniques: We feel that getting in front of the camera is a must in confidence building that you will need for interviews and public speaking. But don’t worry, we make it fun and will not share it with anyone without your knowledge. You need this no matter what personality type you may have, whether you consider yourself an introvert or an extrovert! Does Your Teen Fit In? Celebrating 10 Years of FUN!